We began in a small kitchen at home by cooking delicious savoury snacks. These snacks were normally eaten during Diwali but we realised that these tasty snacks can create happiness throughout the year. As the years went by we realised the need for our pure vegetarian products to spread happiness across the UK. In 2009 we opened our unit in Leicester and started to distribute to major cities in England. 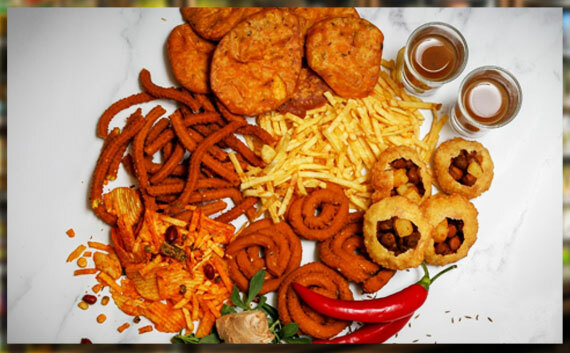 We have expanded our Khushi Foods product range since and now supply independent retailers, distributors and for private occasions across England. Our products are carefully monitored for quality and we ensure they are fresh. All of our products are pure vegetarian. We know that once you taste our products you will always want more! Thank you for visiting Khushi Foods and we hope that our food will make you feel how you should…..happy!